DoubleLine International Fixed Income webcast for the month of April 2019, hosted by portfolio managers Su Fei Koo and Valerie Ho. 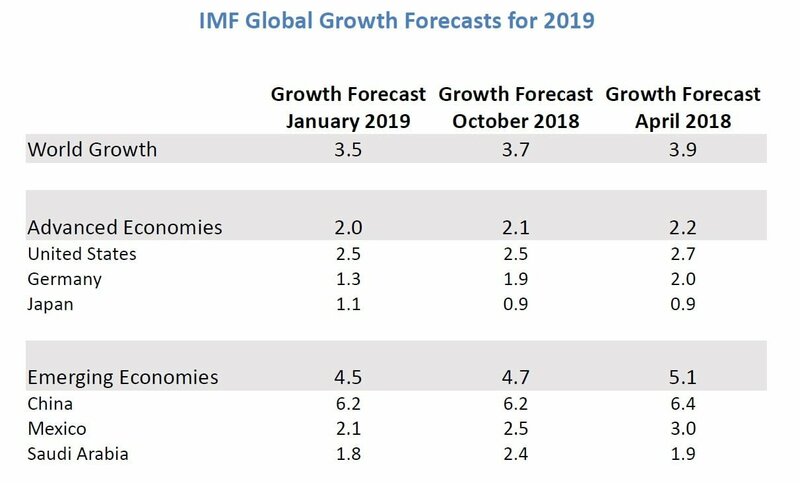 ECB - Extended forward guidance stating that interest rates are expected to remain at their present levels at least through the end of 2019, slashed its growth forecast for 2019 to 1.1% from a prior 1.7% estimate, and offered a 2 year liquidity injection for banks through a TLTRO-III. BoC - Softened its hiking bias, highlighting a sharper than anticipated slowdown in the 4th quarter. 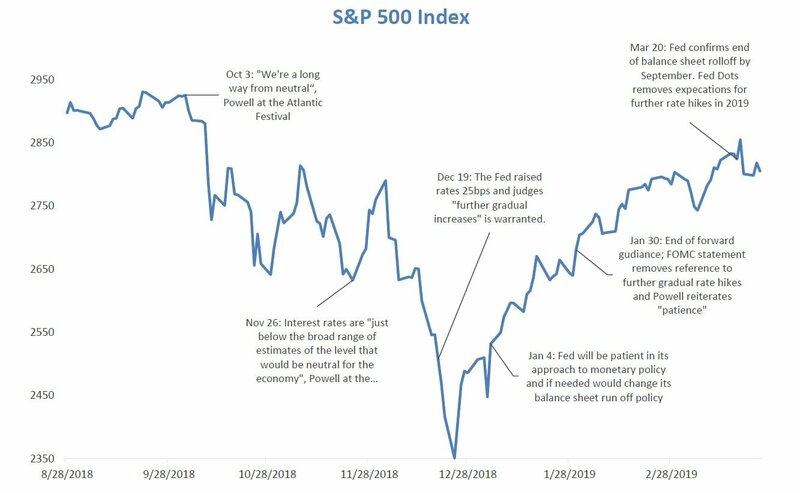 The outlook continues to warrant a policy rate that is below the neutral range, dropping previous guidance that the interest rate would need to rise over time. 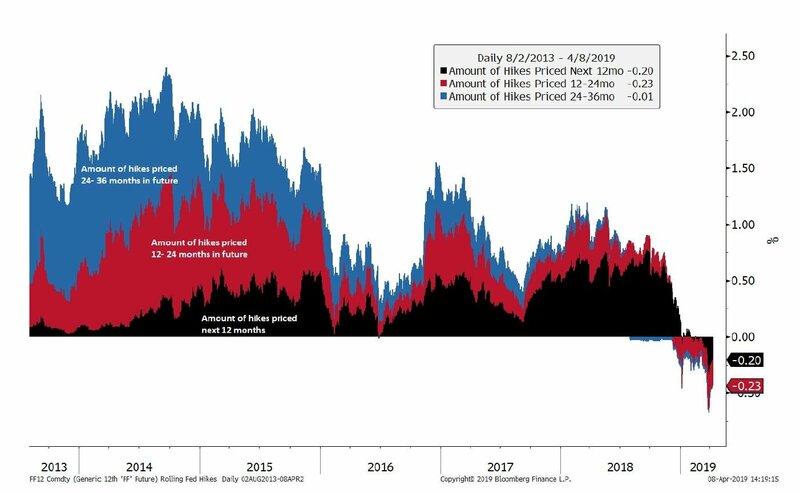 RBNZ - Took a dovish turn and stated the more likely direction of the next OCR move is down vs the previous February statement where the bank introduced symmetric forward guidance. 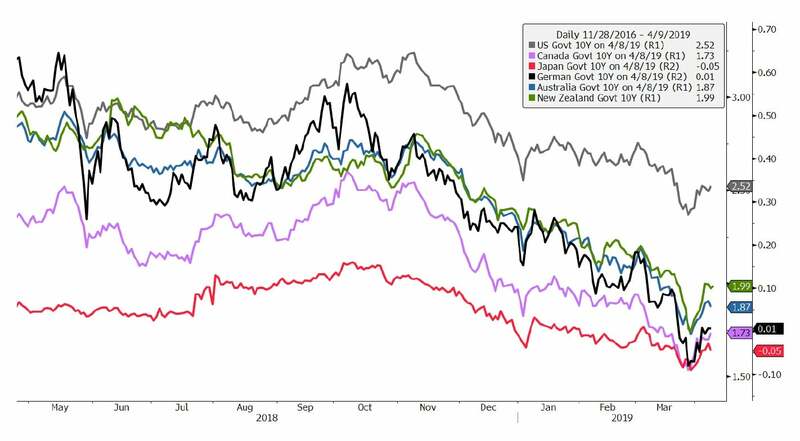 RBA - Turned more dovish, seeing downside risks to the global economy amid trade uncertainty and balancing a weak housing market with a strong labor market. 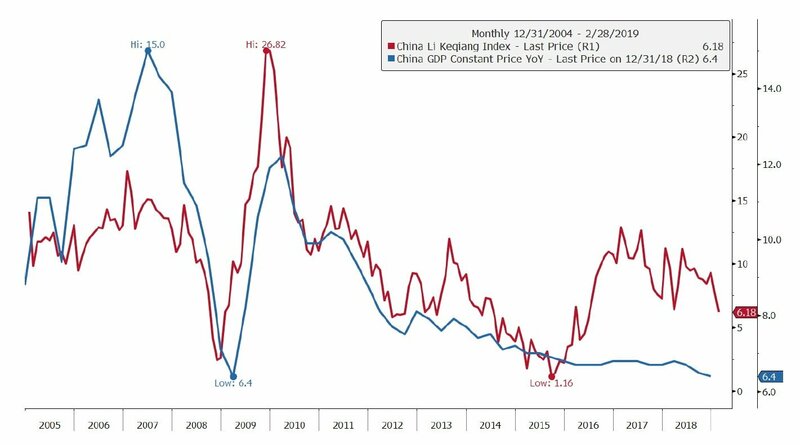 China Li Keqiang Index consists of the change in bank lending, rail freight and electricity consumption; China GDP annual percentage change; Eurozone Real GDP year-over-year: Gross domestic product (GDP) measures the final market value of all goods and services produced within a country. It is the most frequently used indicator of economic activity. The GDP by expenditure approach measures total final expenditures (at purchasers' prices), including exports less imports.